Recruitment marketing has increasingly become a core competency of talent acquisition. To keep up with today’s consumer-minded job seekers, modern recruiting professionals are adopting recruitment marketing techniques and tools to establish and sustain connections with candidates. According to a recent iCIMS study, 52 percent of survey respondents would be open to a new career opportunity if contacted by a recruiter with a relevant opportunity, even if they weren’t actively seeking a new job. You can make it simple for passive candidates to submit basic information and opt-in to automated email campaigns with candidate relationship management (CRM) software. Sending automated personalized, branded communications based on what talent pool they belong to makes passive candidates more likely to think of your organization when they are ready to apply to a job. This usually involves sharing career opportunities, networking events, and company information in scheduled newsletters. But there are rules and regulations you should be aware of before partnering with a software company for your recruitment email marketing needs. According to the Federal Trade Commission (FTC), the CAN-SPAM Act establishes requirements for commercial messages, gives recipients the right to have you stop emailing them, and spells out tough penalties for violations. These requirements do not just apply to bulk emails that end up in your spam folder, this applies to all commercial messages from businesses. Recruiters need to stay compliant with CAN-SPAM laws to ensure their emails aren’t turning off future applicants and avoid costly penalties. 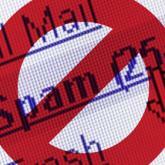 Each separate email in violation of the CAN-SPAM Act can cost up to $40,654 in penalties. While emails relating to talent acquisition generally do not fall under the CAN-SPAM guidelines, iCIMS Connect can be used to meet the seven guiding principles of the act. Talent acquisition professionals should partner with a software solution that gives users peace of mind so they can focus on bringing in the best talent for their organization. iCIMS Connect offers tools that help users include opt-out options, honor opt-outs, and track all emails for monitoring. The system can be used to provide clear information, avoid deceptive subjects, and include information about company location. Any advertisements a customer choose to send to candidates through the system can be labeled and marked as ads. To learn more about why and how to use CRM technology, check out our eBook “Recruitment Marketing: Fad or Future?”.